Freehand drawings quickly became a passion. 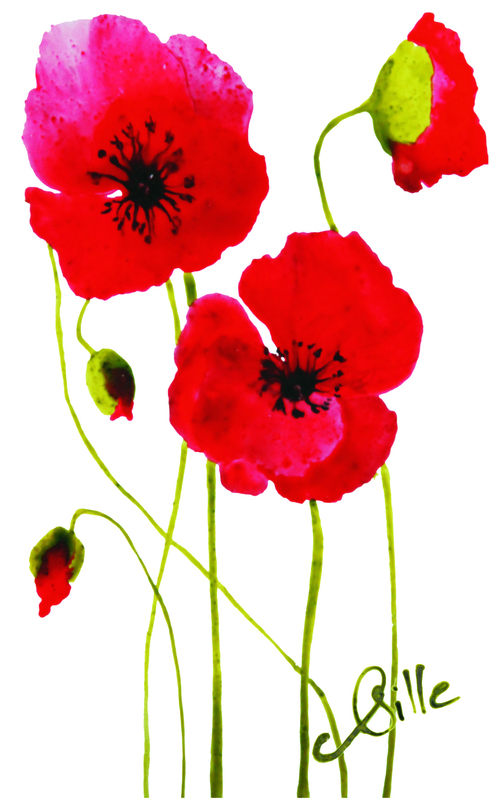 The important meeting in her artistic journey is the one with the poppy. The thunderbolt took place in 2006. Since then ‘Sqille’ has focused all her energy on enhancing this flower on very different media such as porcelain, glass, textiles, etc .. In 2010, Sqille developed, with the reproduction of these paintings by motif or embroidery, different ranges of clothing & linens. Always in search of new ideas, the encouragement of visitors to her shop in Bayeux – Normandy, led her to develop a website to showcase her work. She hopes you like it !